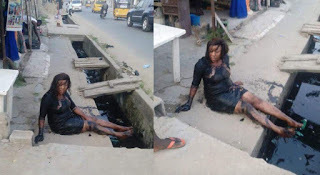 Home pictures LADY TRIPS FROM HER HIGH HEELS SHOES AND FALLS INTO A GUTTER,see photos. 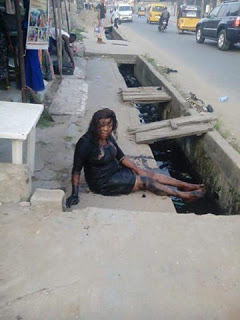 LADY TRIPS FROM HER HIGH HEELS SHOES AND FALLS INTO A GUTTER,see photos. falling, she that is low no pride. I don’t know whether to laugh or to be sad. But ladies is not by force to wear high heels . Some struggle and struggle yet they never give up on the nemesis. “The worst part for this Ikwerre girl is that everybody walk pass. The only person that will stop, only to take picture and then to continue walking ……… Sorry oo, just pick yourself up and continue your journey.